We’ve finally reached the end of our list. Following four months of jam-packed action, I’ve finally been able to adjust the top five players into one rankings. Brantford leads the way with three players in the top five, which shouldn’t be much of a shock. There is definitely a tiered prospect level in the Alliance this year and I think the argument can be made that these five skaters are in a tier of their own. We carry on with the Alliance player rankings today with the players who secured spots 6 through 15. Look for the top five Alliance skaters as per our rankings to be released tomorrow. The 2003 born age group has definitely given the public a great opportunity to see some incredible talent in the Alliance this season. After last year saw a bit of a down year for the association, this year has some top flight talent, some of which could make the jump directly from minor hockey to the OHL. I started off by having more than 40 names on a list of potential candidates that needed to be dwindled down to 25. Once down to the magic number, there were still some players who I felt deserved mention that for the first time in four season, I will be including a number of players who make the “honourable mention” list. As for the top 15, players ranked from 6-15 will be released on Thursday while the top five should be out on Friday, just in time for some 2nd period flood reading at the Marlies Holiday tournament. Let’s get this thing started. We have finally made it to the holiday break, which actually isn’t much of a break for many teams. 10 of the 12 Alliance squads will be participating in the Toronto Marlboros Holiday Classic, with just the Chatham-Kent Cyclones and the Lambton Jr. Sting skipping out on the tournament. The new year will bring plenty of battles and lots of exciting play in the Alliance loop. While the eight teams that will be advancing to the playdowns seems to get clearer and clearer every day, it is the battle for positioning that should take us down to the wire. Add in the new postseasons twist of the “consolation” playoff winner having a shot at an OHL Cup Wildcard spot and there is lots of meaningful hockey ahead. With only a month left to play, here is what I think the opening round of the playdowns will look like. Now here is the final team rankings for the year of 2018. 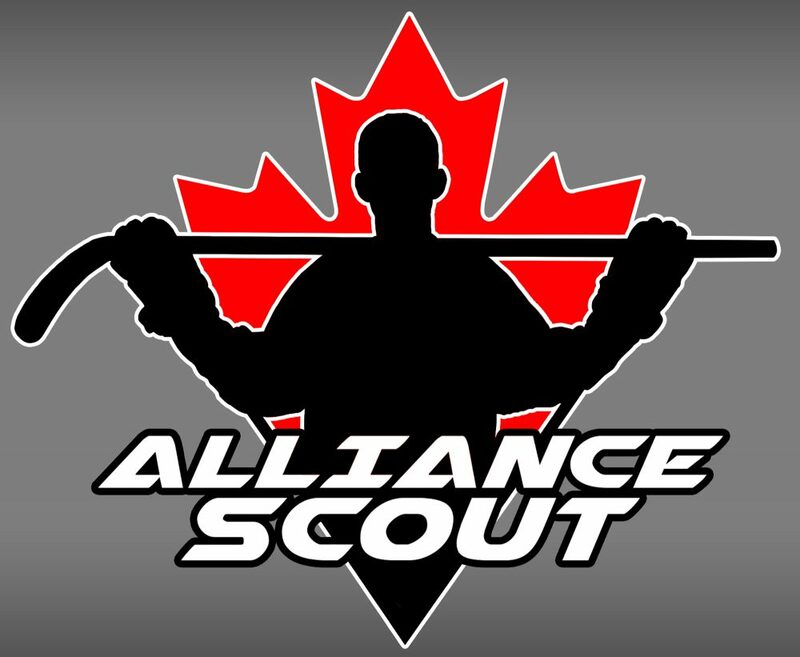 The Alliance All-Star Showcase in Woodstock this past weekend gave everyone a great opportunity to see all the Alliance teams in action in one spot. It also provided some fantastic games and top matchups between the best teams in the association. The game between Chatham and Cambridge on Friday night probably stands as my favourite game of the year thus far. While it ended without a single goal being scored, the chances along with the high intensity and physical play made for a great couple hours of entertainment. The Saturday afternoon tilt between Brantford and Windsor was a battle between the top ranked teams in my inaugural rankings. Several players shined bright in that game and it was a great showing for a Windsor team that I don’t think really gets the respect they deserve around the league. The next couple of weeks are busy for Alliance teams. We have the Gold Puck tournament in Waterloo this weekend and teams are getting set for the holidays which means the Marlies Holiday Classic for many. I said last week that the rankings were very close and lots could be argued. As you will see by this weeks edition, plenty can change in a couple of weeks and it shows just how tight the teams at the top of the standings are to one another. Feels good to finally be back with some time to bring written content to the site. I know I’ve been absent for quite a long time but things have been a bit busy on my end. I’d like to thank everyone for their kind words and support during the last couple of months. While I’m unable to attend the vast amount of Alliance games as I’m used to over the past couple of months, I’ve still been keeping a keen eye on things. Now that most teams have completed over half of their regular season schedule, the playdown picture is starting to take shape all the upcoming battles for positioning are sure to be incredible as well. For the first edition of these rankings, it shouldn’t be a surprise who is occupying the top spot. It is the next five spots where there can be lots of debate as to who seeds where. It is those debates that is going to make the final two months of the regular season a real treat. Follow along and let me know where I’ve gone wrong. Don’t worry, I’ve got thick skin. For the first time ever, we are going to reward some players who have had some exceptional years. Much like every league does once a season is completed, we are going to put out some awards and look to acknowledge some players in the league. Firstly, we will release the nominations fo each award along with a poll so the readers can chime in with who they believe should be victorious. To begin, we have a couple of awards that have already been won on the boxscore. Congratulations to London forward George Diaco, who with 23 goals, led the Alliance this season. Congratulations to London forward George Diaco, who with 52 points, led the Alliance this season.